Blood Relation problems mainly deal with the hierarchical structure of a family i.e., grand-parents, parents and children etc. 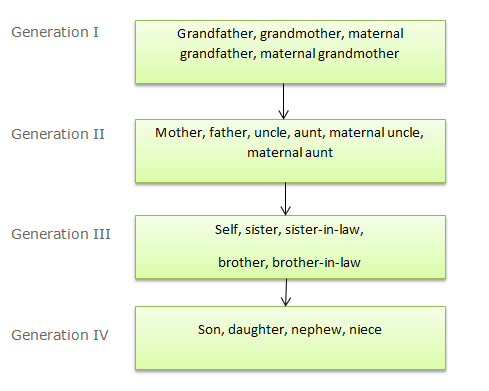 Different relationships between the family members of different generations are given. To solve such questions, the entire family tree is to be constructed by plotting out the various relationships. A blood relation is a very important topic of any Aptitude Test. Such questions may be asked directly or may be given in the form of coded blood relations or data sufficiency questions.